Each year 172 million work days are lost to sickness, many of which are a result of the two to four colds the average UK individual contracts each year. A seasonal session with an acupuncturist can help to improve overall health and well being through boosting the immune system and keeping any illnesses at bay. Acupuncture will essentially work in a similar way to that of taking your car for a service before winter as you are preparing your body for what’s to come and ensuring that it is running efficiently so no serious problems occur. 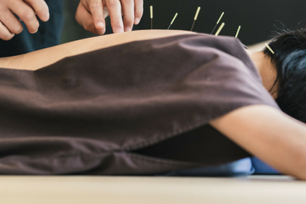 Acupuncture revolves around what is known as the body’s Qi or vital energy and works to address any imbalances in the body which may offset its equilibrium. During treatment your practitioner may also take the opportunity to discuss various things to be aware of during specific seasons. For example, a winter tuning session may include suggestions to eat warming foods and various ways of conserving energy during the winter months. Aside from helping to overcome and avoid cold and flu, acupuncture can also help those affected by seasonal changes such as the clocks changing by bringing about deeper sleep, an increase in energy and an improved sense of overall well-being. If you would like to find out more about acupuncture please visit our fact-sheet here. Mental health treatment - is there an alternative?